Forewings without longitudinal veins and female without an ovipositor; tenth abdominal segment tubular in both sexes (Fig. 47b). 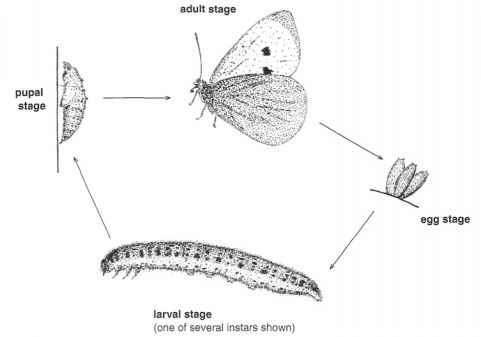 Development includes an egg, two nymphal, one propupal and two pupal stages. Eggs elongate-oval, hard-shelled and often sculptured. A mainly tropical family, associated primarily with dead wood or leaf litter (but including some predatory and leaf-feeding species), the insects feeding on fungal hyphae, fungal spores or the breakdown products of fungal decay. Some phytophagous species cause noticeable galls on host plants. EXAMPLES: Haplothrips tritici (wheat thrips), Liothrips vaneeckei (lily thrips).